Facebook surprised the world today by announcing its own camera app. It has filters, editing options and everything you love/hate about the social network, including the ability to tag, like and comment on photos. It’s kinda cool, but also kinda like Instagram, which Facebook recently purchased for $1 billion. That aside, we’re here to take you on a brief tour of the new app, dubbed Facebook Camera. If you’re looking for a more elegant way to scroll through and upload photos to Facebook, this new app is a pretty good option. 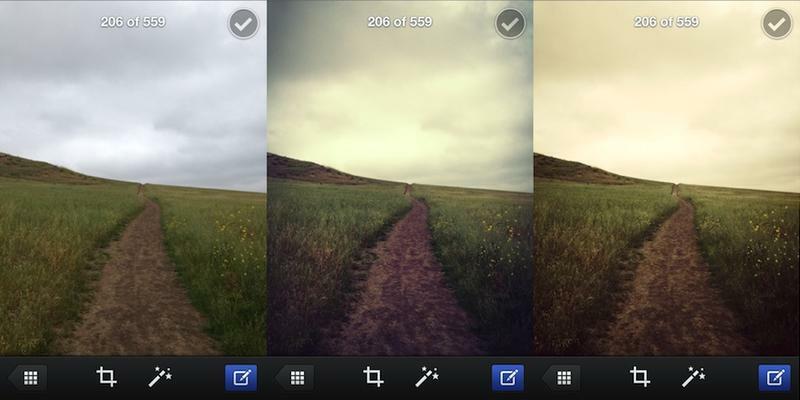 If you’ve ever used or seen Instagram, applying filters will instantly feel familiar. That’s because it’s exactly the same process. Simply tap the little wand button at the bottom of a photo, and up pops the different filters. Stuff like Highlight, Boost, Neon and B&W. But Facebook Camera one-ups Instagram by adding the ability to edit photos within the app, which can be accessed by pressing the little crop icon. 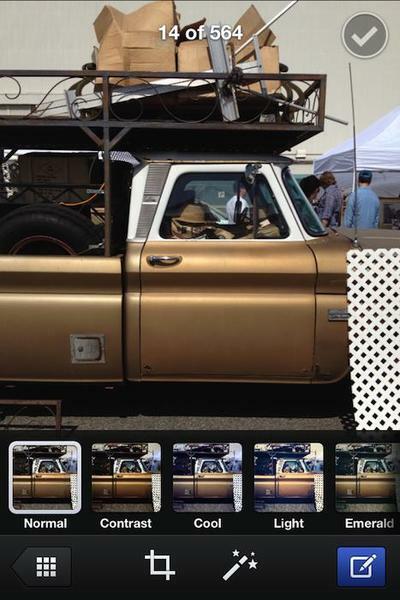 Here, users can rotate photos and crop them by dragging a corner of the grid that overlays on top of the photo. It’s a pretty simple and painless process that produces some really nice results. This one is easy peasy. Photos are displayed as cropped squares, making them digestible and easy to look at, like and comment on. You have two options: “Friends” and “Me.” Your Friends feed will display recently uploaded photos from all your Facebook friends. Every single one of them. There’s no way (right now) to filter anyone out, so if you have someone blocked on Facebook.com, their photos will show up in the app. What’s nice, though, is that there are no status updates or links or ads. You can also zoom in on photos, which is a nice touch. Like Instagram, photos are central to the experience. 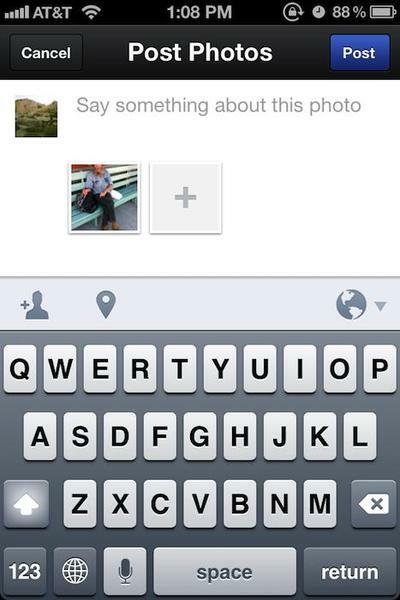 If you have Facebook solely to look at and/or upload photos, this is a great alternative to the standard app. Different from Instagram, however, is an option to follow people within the app, or a way to see popular photos. Of course, that might somehow get implemented once Facebook’s acquisition of the social sharing photo app gets approved. This isn’t much different from Facebook’s standard app. The only difference is you get the option to upload photos in batches. 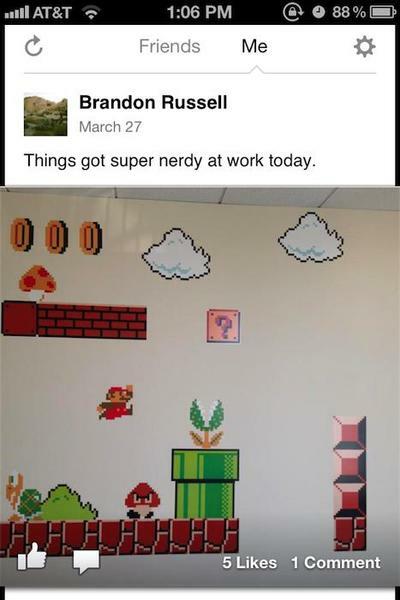 By default, going into Facebook Camera displays a photo icon on the top left. When you click on it, you’re given two options: 1) Take a photo; or 2) Choose a photo(s) from your library. Each photo in your library has a check mark, and clicking on that check mark adds them to a post which you can then upload to your timeline. You can tag people, add a location and also control who sees the photos through privacy settings. If you were longing for more Facebook in your life, this is actually a really great little application. We’ve only briefly gone through it but, as expected, it’s a lot like Instagram so it was immediately familiar (if you’ve used Instagram before, obviously). The app was snappy and stable and easy to use. It’s elegant, let’s you scroll through multiple photos in an album by swiping left or right, and it gives you the ability to like and comment on any photo. What’s especially nice, like I said, is that there isn’t all the noise usually found in a News Feed. What I mean by that is there aren’t any links to click, ads to block, status updates to read or anything else of that nature. It’s just you, your friend’s feed, and plenty of fancy filters. Above is an example of just a few of Facebook Camera’s filters. On the left is Normal, while the middle is Boost and right is Highlight.